Mapping is such a powerful tool. As I prepared for my talk at the 2014 Cloud & Molecular Aesthetics Conference in Istanbul, I not only wanted to present my University of Washington Medical Genetics project, but also wanted to share the process and explain my role as artist, curator, community catalyst. 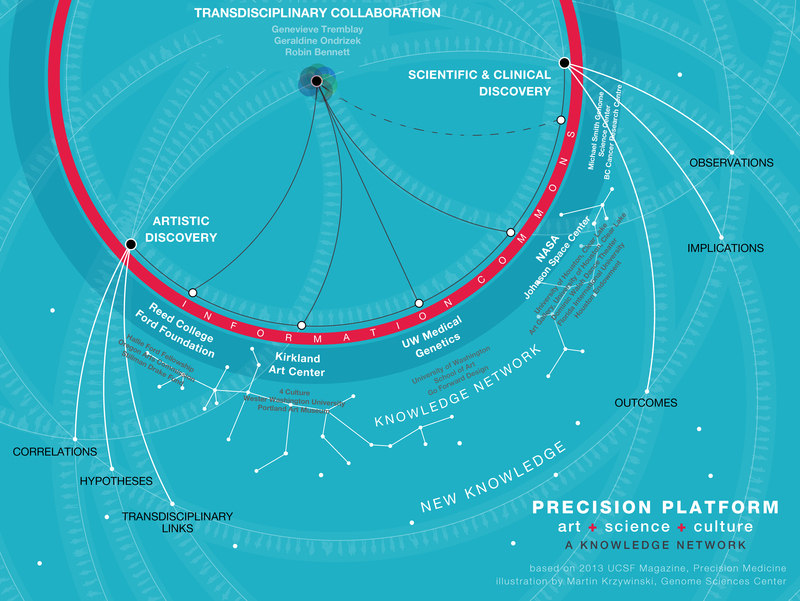 In order to map the bridge building I do between artists, innovators, scientists, and technologists who are addressing health, social, and civic challenges, I looked closer at the relevant advances in the field of Precision Medicine (P4) as a visualization model. Precision medicine explores the interplay of all aspects of human health, genetics, environment, behavior, lifestyle. It was then that I realized how much Transdisciplinary Collaboration, Public Scholarship and Precision Medicine had in common. All seem to include stakeholders in defining research objectives and strategies, create a “diffusion’ of learning produced by research, and active collaborations between stakeholders is essential on Academic, Disciplinary, Clinical, and Community levels. …Transdisciplinary collaboration becomes uniquely capable of engaging with different ways of knowing the world, generating new knowledge, and helping stakeholders understand and incorporate the results or lessons learned by the research. 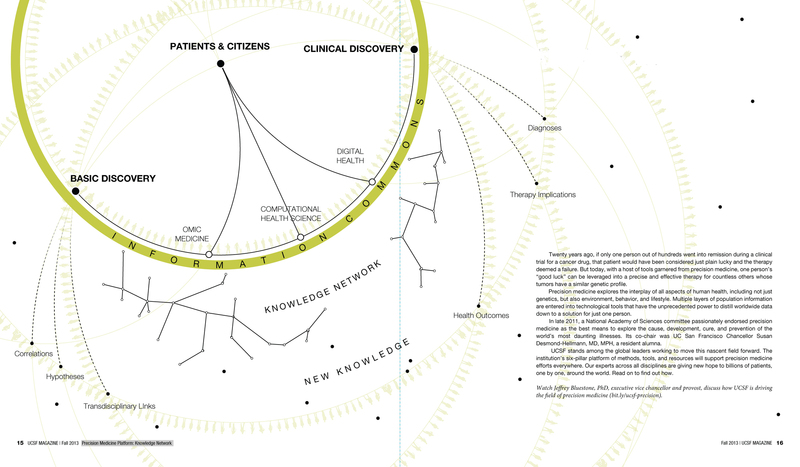 My research of Precision Medicine let me to a ‘skymap’ created by the ridiculously inspiring artist/scientist/data visualization master, Martin Krsywinski at the Genome Sciences Center that illustrated the intersecting nodes and realms of Precision Medicine. It was the best representation of deep collaboration I had ever seen. So, I reached out to Martin…to ask permission to use it in my talk. I had used his map as a foundation for another map that represented the aspects of my collaboration with UW Medical Genetics…which then extended to projects with Kirkland Arts Center, 4 Culture, NASA Johnson Space, and beyond. We corresponded back and forth for over 2 weeks. He was amazingly generous with his knowledge, perspectives and images and offered to create a skymap of my project to use at the conference in Istanbul. Above are the original skymap I found…and the skymap Martin created for me as part of our “academic collaboration”, as he called it. Geesh…what a guy!…(a guy who I will tell you ALL about in another blog post). Transdisciplinary research allows investigators to transcend their own disciplines to inform one another’s work, capture complexity, and create new intellectual spaces. 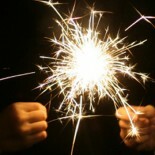 This entry was posted on October 13, 2014 by Genevieve Tremblay in knowledge sharing and tagged art/science collaboration, collaboration, collective Innovation, genomics, interdisciplinary collaboration, knowledge networks, knowledge sharing, p4, precision medicine, public scholarship, transdisciplinary collaboration, transdisciplinary research.